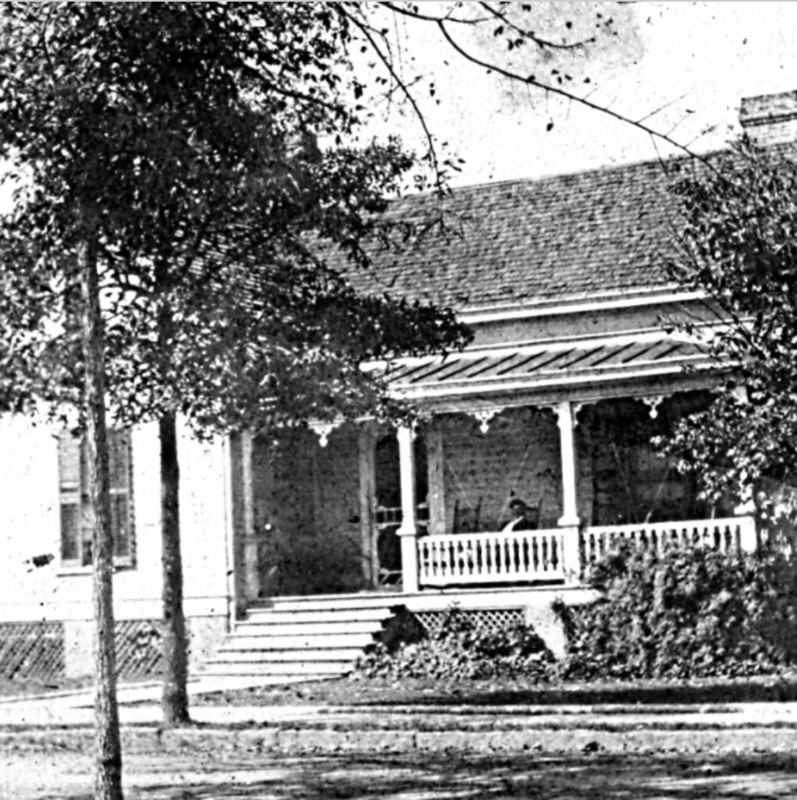 The house on this lot appears to have been constructed at the rear of the Caldwell’s original lot, possibly as an investment property of Dr. Louis Friedheim. Friedheim was a prominent doctor, who lived and practiced his animal clinic out of his father’s Friedheim Hall stables on East White Street. The Herald reported in 1919 that J.E. Heland had been contracted to build two garage buildings on Caldwell Street, adjacent to the hotel (unknown) building company. W.B. Jenkins, brother-in-law to the Rev. F.W. Gregg of Rock Hill, was to move to the city and lease one of the garages. Since the city was considering the widening of Caldwell Street, the building was moved back. This lot has since served as several businesses, the Dixie Home Store, a dry cleaners, martinizing company, and most recently, the Millstone Pizza Restaurant and Provisions.